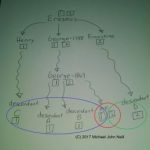 There are a variety of reminders from the initial error I made with this map showing Helmershausen, Germany. Initially I thought the wrong “dot” marked Helmershausen. 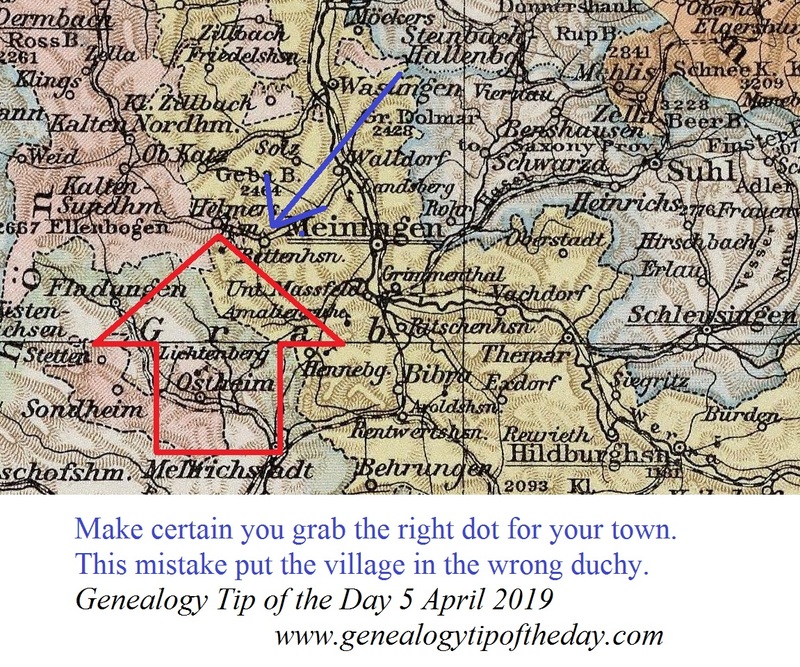 The town was close enough to the border between two duchys that using the incorrect dot incorrectly put the village in the wrong one. And while saying “don’t be hasty,” “take a second look,” and “don’t be afraid to ask someone else” are suggestions we here often–it doesn’t hurt to have the occasional reminder. And make certain you have the right dot. Sometimes a few miles really does make a difference. This image comes from Family Tree Historical Atlas of Germany, by James Beidler. It includes maps for all of Germany. This map is similar to the Meyers Gazetteer https://www.meyersgaz.org/ which I’m more familiar with. If you know the town you can find it there easily and if there are multiple places by that name it will give you a list to choose from. Look at each one until you figure out which town location is correct.